Dyslexia is the most common learning disability, affecting tens of millions of people in the United States. But getting help for children who have it in public school can be a nightmare. "They wouldn't acknowledge that he had a problem," says Christine Beattie about her son Neil. "They wouldn't say the word 'dyslexia.' "
Other parents, she says, in the Upper Arlington, Ohio, schools were having the same problem. The district in a suburb of Columbus wasn't identifying their children's dyslexia or giving them appropriate help. So, in 2011, the parents pooled their resources and hired a lawyer. "I was not surprised there was a group of students with dyslexia who were not getting the kind of instruction that they really needed," says Kerry Agins, an Ohio special education attorney who represented the Upper Arlington parents. She says the issue of public schools failing to address the needs of students with dyslexia is widespread, in Ohio and across the country. Agins advised the parents to file a group complaint against the district. Parents typically fight special education cases alone, seeking remedies one by one. But a group complaint, Agins told them, could force the school system to make broader change. Nineteen people signed the complaint, including parents, students and graduates of the Upper Arlington public schools. In August 2011, the Ohio Department of Education found the Upper Arlington Schools in violation of the law when it came to promptly and properly identifying students with learning disabilities and finding them eligible for special education services. "We felt vindicated," Christine Beattie recalls. "Like, we aren't crazy. We know what we're talking about." In its decision, the state ordered the Upper Arlington Schools to train teachers and staff on how to identify and evaluate students with learning disabilities. But the parents said this was more than a special ed problem. They say it was a problem with the way kids were being taught to read. In response to a formal complaint filed by parents, children in Upper Arlington, Ohio, are now taught to read using a phonics-based approach. The Upper Arlington Schools were using what's referred to as a "whole language" approach to reading instruction. It's an approach that became popular in the 1980s and continues to guide reading instruction in many public schools today. Whole language holds that learning to read is a natural process. Children don't need much direct instruction. Instead, surround them with books, and they will become readers. But decades of research shows that reading is not a natural skill. Unlike speaking, which humans learn automatically by being surrounded with speech, we have to be taught to read. 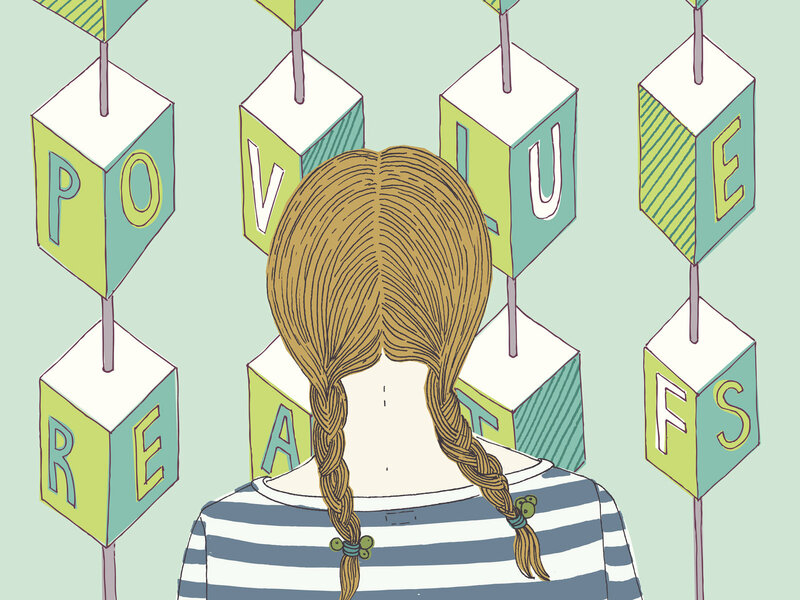 People with dyslexia have an especially hard time learning to read because their brains are wired in a way that makes understanding the relationship between sounds and letters difficult. Research shows that they learn to read better when they are explicitly taught the ways that sounds and letters correspond. And research shows that even students without dyslexia learn better this way. Upper Arlington had to retrain its teachers, who had, for the most part, learned whole language-based methods in their teacher-preparation programs. 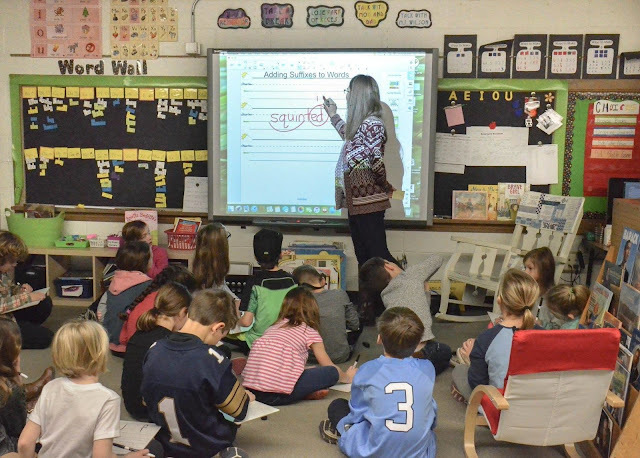 Now, students in Upper Arlington are taught to read using a phonics-based approach that explicitly and systematically teaches them how letters represent sounds to form words on the page. "O Octopus ah!" the kids yell in a first- and second-grade classroom at Barrington Elementary School in Upper Arlington. Their teacher, Ashley Stechschulte, is holding up a series of cards with words on them, and the children repeat after her as she sounds out the first letter sound. Then they move to more complex letter-sound combinations. They discuss the word "sock." Stechshulte asks what the letter combination "ck" is called. "A digraph," answers a student. A digraph is one sound created when two letters appear together. Stechshulte then asks the class to consider the difference between the digraph "ck" and the digraph "wh," as in the word "whistle." "Who can tell me what's the big difference between these two digraphs?" Stechshulte asks. A little hand shoots up. It's a boy named Jacob. "The 'ck' can only go at the end (of a word) and the 'wh' can only go at the beginning," says Jacob. The teacher was using "Fundations," a program based on the Wilson Reading System, a structured, phonics-based approach. Fundations is typically used with children who are struggling to learn to read but it can also be used for whole class instruction. For students in Upper Arlington who show signs of dyslexia on a screening test, there is more intensive, one-on-one tutoring available. Brett Tingley, one of the Upper Arlington parents who signed the group complaint, says if all kids get effective reading instruction, fewer children should need special ed services. "I have started to call it not dyslexia but 'dysteachia,'" Tingley says. "It's the teachers who are not giving the right kind of instruction." Emily Hanford is senior education correspondent for APM Reports.